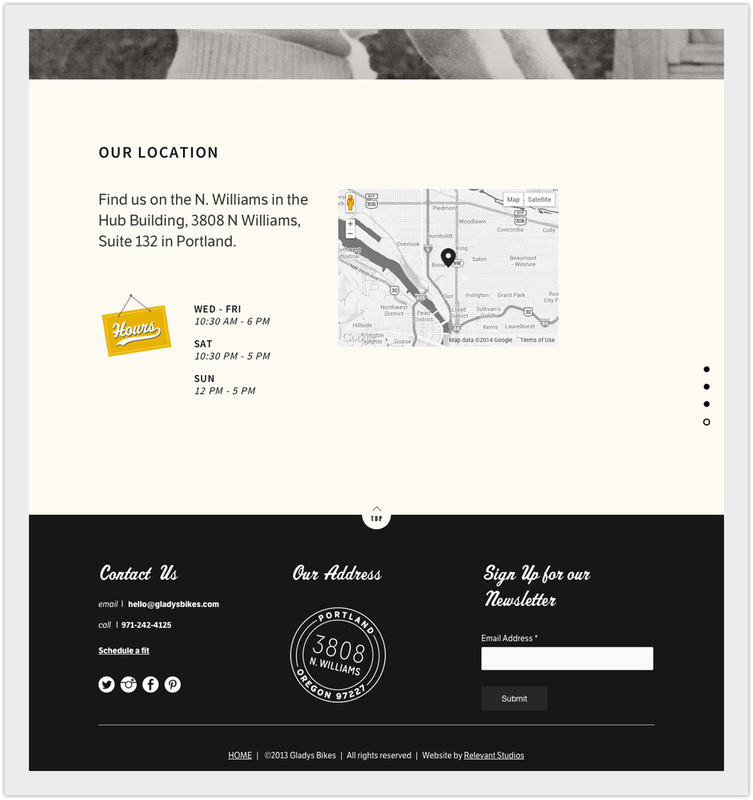 Gladys Bikes - Website — Relevant Studios | A Branding, Packaging & Website Design Company | Portland Ore. Complete with vintage photos and parallax scrolling, the Gladys Bikes website has something for everyone and is sure to please a broad audience. Working with Leah to create this site was great.